James is a member of the Amazon Web Services team focused infrastructure efficiency, reliability, and scaling. James is a Vice President and Distinguished Engineer on the Amazon Web Services team where he is focused on infrastructure efficiency, reliability, and scaling. Prior to AWS, James was architect on the Microsoft Data Center Futures team and before that he was architect on the Live Platform Services team. Prior to that he was General Manager of the Microsoft Exchange Hosted Services team which was formed as part of the FrontBridge Technologies acquisition. He moved to the EHS team from his role as SQL Server Architect and leader of the SQL Server Security and Incubation Teams. He joined SQL Server during the 7.0 development cycle and over the years led various development teams including the SQL language compiler, query optimizer, query execution engine, DDL processing, metadata and catalog management, security, Server-side XML, network protocols, server-side cursors, full text search, and Common Language Runtime Integration. Prior to joining the SQL Server team, James was an architect on the Windows NT Base Operating System group. 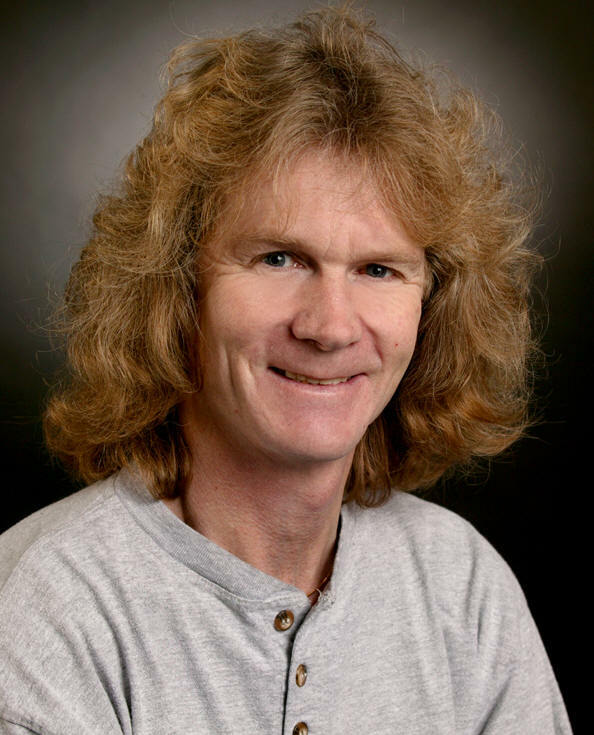 Before joining Microsoft, James worked at the IBM Toronto Lab as Lead Architect for IBM DB2 UDB where he helped ship numerous releases on many operating platforms including AIX, OS/2, Windows NT, Windows 95, Sinix, HP/UX, and Solaris. Before DB2, James formed the team and led the delivery of IBM's first C++ language compiler. He has a Master of Math (Computer Science) from the University of Waterloo and Bachelors of Science (Computer Science) from the University of Victoria. In the late 70's and early 80's he worked as a licensed auto mechanic first at a Chevrolet dealer and later at, Eurocar, an Alfa Romeo dealership where they serviced Maseratti, Ferrari, Lamborghini, Alfa Romeo and, just to keep the bills paid, Fiats. At Eurocar Racing they raced various sedans and formula cars in the Pacific Northwest. 2012.10.09: Infrastructure Innovation Opportunities (talk, video), First Round Capital CTO Summit, San Francisco, CA. 2011.11.08: Internet Scale Storage (talk), Microsoft Internal Storage Community, Redmond, WA. 2011.11.01: Internet Scale Storage (tak), University of Washington Distinguished Lecture Series, Seattle, WA. 2011.10.27: Internet Scale Infrastructure Innovation (talk), Open Compute Summit 2011, New York, NY. 2011.10.24: Internet-Scale Datacenter Economics: Costs & Opportunties (talk), High Performance Transaction Systems, Asilomar, CA. 2011.09.14: Cloud Computing Driving Datacenter Innovation (talk), Global Semiconductor Alliance Board Meeting, San Jose, CA. 2011.06.14: Internet Scale Storage, (talk), SIGMOD 2011 Keynote, Athens, Greece. 2011.06.07: Cloud Computing Is Driving Infrastructure Innovation (talk), Amazon Technology Open House Keynote, Seattle, WA. 2011.05.17: Cloud Computing Is Driving Infrastructure Innovation (talk), Western Digital Corporate Board Meeting, Mountain View, CA. 2011.04.12: Cloud Computing Is Driving Infrastructure Innovation (talk), Stanford 2011 Computer Forum, Stanford, CA. 2010.11.11: Cloud Computing Economics (talk), Amazon Cloud for the Enterprise, NY, NY. 2010.10.28: Datacenter Networks Are In My Way (talk), Principals of Amazon Series, Seattle, WA. 2010.10.20: Datacenter Infrastructure Innovation (talk), Leading Edge Forum, San Francisco, CA. 2010.06.23: Datacenter Infrastructure Innovation (talk, video), Velocity 2010 Keynote, Santa Clara, CA. 2010.06.08: Cloud Computing Economies of Scale, (talk), AWS Genomics & Cloud Computing Workshop Keynote, Seattle, WA. 2010.03.15: Cloud Computing Economies of Scale, (talk, video), Microsoft MIX10, Las Vegas, NV. 2009.10.23: Data Center Networks Are in my Way, (talk), Stanford Clean Slate CTO Summit Invited Talk, Stanford, CA. 200910.23: It's the Ecosystem Stupid, (talk) Stanford Clean Slate CTO Summit Panel, Stanford CA. 2009.08.17: VL2: A Scalable and Flexible Data Center Network, (paper), SIGCOMM 2009, Barcelona, Spain. 2009.06.23: Internet-Scale Service Infrastructure Efficiency (slides), International Conference on Computer Architecture 2009 Keynote, Austin, TX. 2009.06.17: Where Does the Power Go in High-Scale Data Centers, (slides), USENIX Technical Conference 2009 Keynote, San Diego, CA. 2009.06.16: Where Does the Power Go in High-Scale Data Centers, (slides, video), SIGMETRICS/Performance 2009 Keynote, Seattle, WA. 2009.04.01: Data Center Efficiency Best Practices (presentation, video), Google Data Center Efficiency Summit 2009, Mountain View, CA. 2009.03.28: RDBMS Loosing Workloads in the Cloud (presentation), Panel, Self-Managing Database Systems, Shanghai. 2009.03.28: Cloud Computing Economies of Scale (presentation), Self-Managing Database Systems Keynote, Shanghai. 2009.02.26: Service Design Best Practices (presentation), Principals of Amazon, Seattle. 2009.02.20: Cost of a Cloud: Research Problems in Data Center Networks (paper), ACM SIGCOMM Computer Communications Review, Feb. 2009. 2009.02.19: Where Does the Power Go and What to do About it (presentation), AFCOM Seattle Chapter. 2009.01.07: CEMS: Low-Cost, Low-Power Servers for Internet-Scale Services (paper, presentation), Conference on Innovative Data Systems Research Keynote, Asilomar, CA. 2009.01.01: The Cost of a Cloud: Research Problems in Data Center Networks (paper), SIGCOM Computer Communications Review, 1Q2009. 2008.12.02: Designing and Deploying Internet-Scale Services (slides) & Where does the power go and What to do About it (slides) University of Washington. 2008.10.06: On Delivering Embarrassingly Distributed Cloud Services (paper), SIGCOM Hotnets 2008, Calgary, Alberta. 2008.09.16: Internet-Scale Service Efficiency (slides), Large Scale Distributed Systems & Middleware (LADIS 2008) Keynote, Yorktown Heights, NY. 2008.07.12: Where does the Power Go in DCs and How to Get it Back? Foo Camp 2008 (.ppt), Sebastopol, CA. 2008.06.26: Expedia Presentation on High Scale Service Deployment (.pdf), Redmond, WA. 2008.06.04: Increasing Data Center Efficiency by 4x (.ppt), Berkeley RAD Lab Retreat, Santa Cruz, CA. 2008.04.11: Cloud Computing Imperatives (.pdf), International Conference on Data Engineering 2008, Cancun, MX. 2008.01.30: Jim Gray Tribute, (.doc), Microsoft Research, Seattle. 2008.01.17: Designing and Deploying Internet Scale Services (.pdf), Amazon Internal Developer Conference, Seattle. 2007.12.16: Architecture of a Database System, (.pdf), Foundations & Trends in Database Systems. 2007.11.15: Designing & Deploying Internet-Scale Services, (.pptx, .pdf), LISA 2007, Dallas. 2007.10.09: Modular Data Center Design, (.ppt), HPTS 2007, Asilomar CA. 2007.10.08: Designing & Deploying Internet-Scale Services, (.ppt), HPTS 2007, Asilomar CA. 2007.04.16: Commodity Data Center Design, (.ppt), Web 2.0 Conference, San Francisco, CA. 2007.01.17: Modular Data Centers, Amazon Internal Developers Conferences, (.ppt), Seattle Wa. 2006.04.05: Microsoft Exchange Hosted Services Keynote (.ppt), Chicago, Il. 2006.03.30: Microsoft Exchange Hosted Services Keynote (.ppt), Toronto, Canada. 2005.11.15: FrontBridge Business & Technology (.ppt), Microsoft Enterprise Computing Series (Microsoft internal). 2004.12.16: Oracle Real Application Clusters and Industry Trends in Parallelism and Availability (.pdf). 2004.06.17: The Security Economy (.ppt), Berkeley Recovery Oriented Computing Retreat, Santa Cruz. 2004.05.25: SQL Server Yukon (.ppt), Scientific Data Intensive Computing Workshop, Bellevue. 2004.04.15: User-based Innovation & Communities Drive Commercial S/W Innovation (.ppt) MIT Innovation Lab. 2003.10.29: Overview of what is New in Yukon (.ppt) Washington Software Alliance Best of the PDC Conference, Seattle, WA. 2003.10.30: Security Process and You: SQL Server Case Study (.ppt) Microsoft Professional Developers Conference, Denver, CO.
2003.10.29: Overview of what is New in Yukon (.ppt) Microsoft Professional Developers Conference, Denver, CO.
2003.02.10: Slammer in Detail (.ppt) SQL Server Yukon Technical Preview, Seattle, WA. 2003.01.05: Active Server Availability Feedback (.doc), (.pdf) Conference on Innovative Data System Research 2003 (CIDR 2003). 2002.11.13: SQL Server Security (.pdf) Searchdatabase Webcast. 2002.10.16: Commercial Database Security Issues (.ppt), IDA/FBI Law Enforcement Forum 2002. 2002.08.20: Challenges in Large Enterprise Data Management (.ppt), VLDB 2002. 2002.08.20: Active Server Availability Feedback (.ppt), VLDB 2002. 2002.07.23: Multi-Language Extensibility in SQL Server (.ppt), Microsoft Research/Academia Conference 2002. 2002.06.12: Availability Data Collection (.ppt), University of California at Berkeley Recovery Oriented Computing Retreat. 2002.03.01: Key Challenges in Information Processing (.ppt), IEEE International Conference on Data Engineering 2002. 2001.12.01: Microsoft SQL Server Full-Text Search (.doc), IEEE Bulletin of the Technical Committee on Data Engineering, Dec. 2001. 2000.03.03: Data Management in a Highly Connected World (.ppt), Data Engineering Workshop, 2000. 2000.02.03: A Database View of Intelligent Disks (.ppt), National Association Storage Devices Meeting 2000. 1999.09.27: Software Testing Doesn't Scale (.ppt), HPTS 1999. 1999.09.07: Network Data Management Design Points (.ppt), VLDB 1999. 1999.04.07: Fault Tolerance vs. Fault Avoidance: Testing Doesn't scale (.doc), HPTS 1999.